What makes St Clement’s special? Staff at St Clement’s C of E Primary school believe that their school is special as a result of its welcoming and nurturing ethos. They believe in a friendly approach and recognise that there should be no barriers between a child and their aspirations. 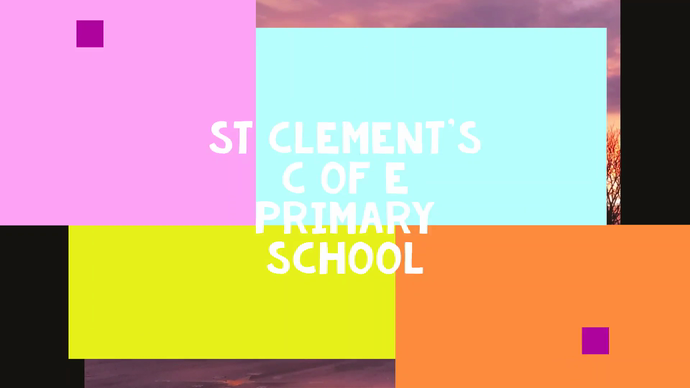 St Clement’s is a values led school that focuses on Safety, Trust, Achievement, Respect and Sharing. Staff see themselves as part of a wider family not just within the context of the school and as part of a Multi Academy Trust but also further afield on an international scale. The children are at the centre of the decisions that are made: our school goes beyond the rhetoric and truly puts the children first. Being a one form entry school means we can really get to know every one of our children and families. We are a school that is outward looking and are keen to embrace new ideas. We base our decisions on research evidence and what is best for our children. We have a strong specialist team within St Clement’s which enables us to offer expertise in a number of different fields. We are blessed with fantastic grounds that the children can enjoy and explore. As a school we have a number of awards that we are particularly proud of and which make us distinct from others eg Fair Trade School, International School Award (Higher Level), Eco School. We currently hold an outstanding judgement from Ofsted and SIAMS inspections. Our children have a wide range of opportunities planned for and attended by committed and enthusiastic staff. What do we want to hold on to as the MAT grows? As a school within a growing Multi Academy Trust we feel it is important to retain our nurturing ethos and those things that make us special. We want to retain our family feel and welcome other schools into our wider family and embrace the opportunities that will be presented as part of this. Most of all we want to ensure that our children always come first.